Pastors Carlos and Chenille White have had the privilege of serving the church in leadership roles for more than twenty years. While much has changed through the years, the heart and mission of Kingdom Dominion Ministries International is the same. It’s the desire of the church’s leadership to see God’s Kingdom come and His will be done in people’s lives, both individually and as a church family. • to model the kingdom and demonstrate God’s power! Apostle White has been afforded the opportunity to minister across the United States, complete mission work and minister in other countries; there are more opportunities on the horizon. Apostle White is married to Chenille White, his high school sweetheart. They have three young adult children – Darien, Daejha, and Dominique. Apostle White holds an Associates degree in Psychology from Troy State University; a Bachelors degree in Pastoral Counseling from Cornerstone University; and a Masters degree in Clinical Pastoral Counseling with an Integrative Marriage Therapy cognate from Colorado Theological Seminary. He is currently pursuing a Doctorate of Ministry. 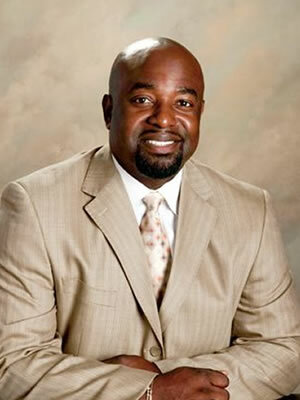 He serves as the Chaplain of the South Georgia State College Basketball Team, Chaplain of the Waycross Police Department, Board member of the South Georgia State College African American Male Initiative, and mentor for individuals from all arenas of life. Prophetess Chenille White serves as the Executive Pastor of Kingdom Dominion Ministries International. She is a passionate heir to the kingdom of God who firmly believes, “The kingdom of heaven suffereth violence, and the violent take it by force!” She has personally experienced the delivering power of Jesus Christ that heals those that are broken emotionally, mentally, physically, and spiritually. As a result, Prophetess White has developed an intense fervor to see people truly set free! She has a strong teaching and prophetic ministry that causes people from all arenas of life to identify the hidden roots in their lives. The word that God has given her invokes a strong desire to face the inner man in order to experience life in the fullest. It is this practical, yet powerful approach that has caused people to move from superficial victory to real transformation. Prophetess White is the Founder & CEO of I-WIN Women’s Empowerment Network!” In order to truly win in life, women must discover who they are in Him. Prophetess White spent many years searching for her purpose in life. She embarked on a journey of self-discovery and sought the assistance of God and the Holy Spirit to reveal her purpose. It was during this time, that she received the revelation and experienced the inner tranquility she longed for. This experience created a deeper passion and desire for women to discover their purpose rather than solely rely on the insight of others. As a result, Prophetess White authored a women’s bible study series entitled, “Self Discovery … the Journey” scheduled for release in March 2018. 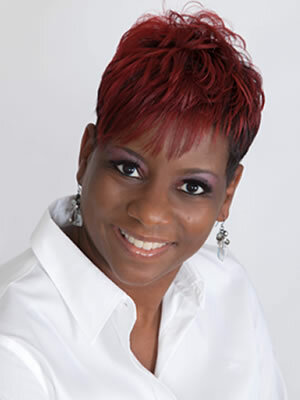 Prophetess White is also the Founder & CEO of Elite Business & Consulting Services LLC. Elite is a full service firm that specializes in business solutions for individuals, businesses, and nonprofit entities. She also serves as a consultant for the government and provides fiscal training and technical assistance for grant-funded programs. She holds a Master of Science degree in Accounting & Financial Management from Keller Graduate School of Management; and a Master of Divinity degree with a Professional Ministries cognate from Liberty University. She is married to Apostle Carlos White and they have three young adult children - Darien, Daejha, and Dominique.